Queen Carsen Grape and King Kade Noble. 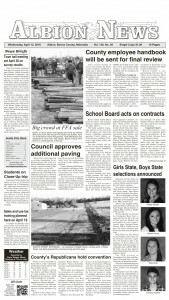 Boone Central High School celebrated its prom Saturday evening, April 13, at the Performance Gym. 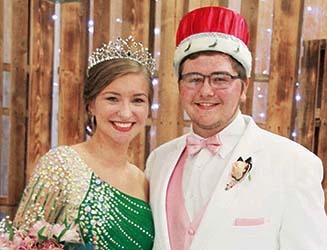 Reigning as queen and king ere seniors Carsen Grape, daughter of Jeff and Sarah Grape, and Kade Noble, son of Dave and Lori Noble.